During Christmas vacation, my 5 year old was motivated to practice reading. However, for her, isolated words are a struggle. In order to make the sight words more meaningful, I tried a variety of ways to help encourage her learning. Family Book: My mom and sister gets credit for this genius. For a Christmas present my Mom came up with the idea of personal story starters. My children love coming up with stories from these adorable pictures. So, the other night, we played a family game. We took turns drawing a card and writing part of a story. In one of the blank books, I scripted the adventure as the family spun the tale. We were all in a fit of giggles as the saga unfolded. After the story was complete, we highlighted sight words in the book and let the three kids decorate. They have now re-read the story many time and added extra details and shared with friends. Thank you Mom and Auntie B. for creating such a wonderful Christmas gift! We love our Story Starters! Thanks Mom! 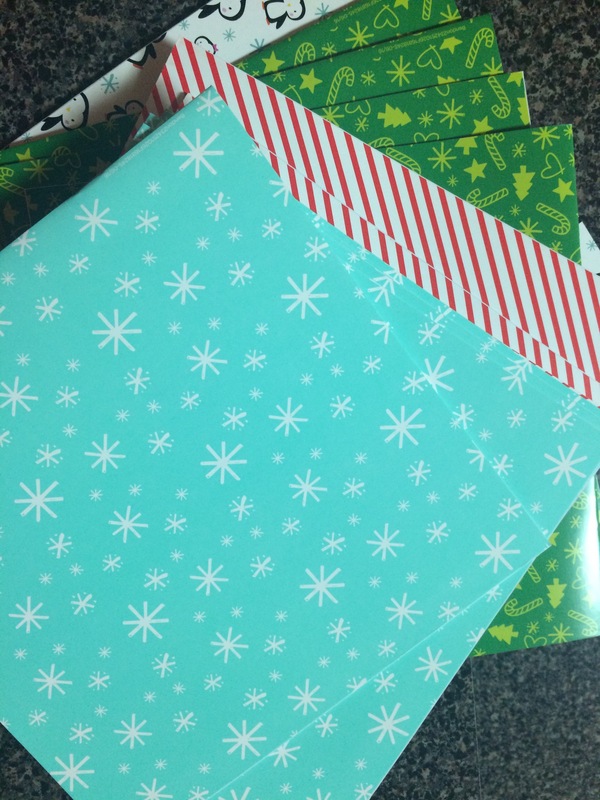 We also used these blank books to create personal site words books. Choosing two or three of the words per book, my 5 year old helped write her story. Then I”boxed” the “missing” sight-word. There are a variety of ways to make this project fun but for this round, I secured an envelope inside the front cover (to hold the words or tools). Next I taped the covered the words written with packing tape. Now as she reads the sentences, she can write in missing words with an expo, fill in the words with a missing card or use a “star” sick to read her sight-words. Not only does this add meaning to the site words but it offers a chance for her to practice reading in a fun way. My oldest added a summary. Pick a card from the box, read, find and swat the insect. You have 20 seconds. Pick the spider, create a sentence from one of the words on the board. Continue until all the words are swatted. Also from the Target dollar bin, I found individual chalk boards. To make our road trip (over 20 hours) more fun, I gave them each a word (or letter for the three year old) of the day. They had to locate and find their personal word in bulletin boards, street signs or a different stops along the way. Every time they got in and out of the card they also read their word. Yesterday, my oldest created and designed a treasure hunt sight-word game! She wrote clues on note cards but left a spot blank for a sight word. On the back of the card were three sight words as choices to fill in the blank. Once the sight word was filled in, it told us where to go next. About 10 cards were created in total. S. took us on a fun sight-word scavenger hunt!! Impressive my little 7 year old, I’m proud of you! Going through my teaching materials, I came across an old tape recorder. I literally had to tape the pieces together to make it work, but it was so worth it! 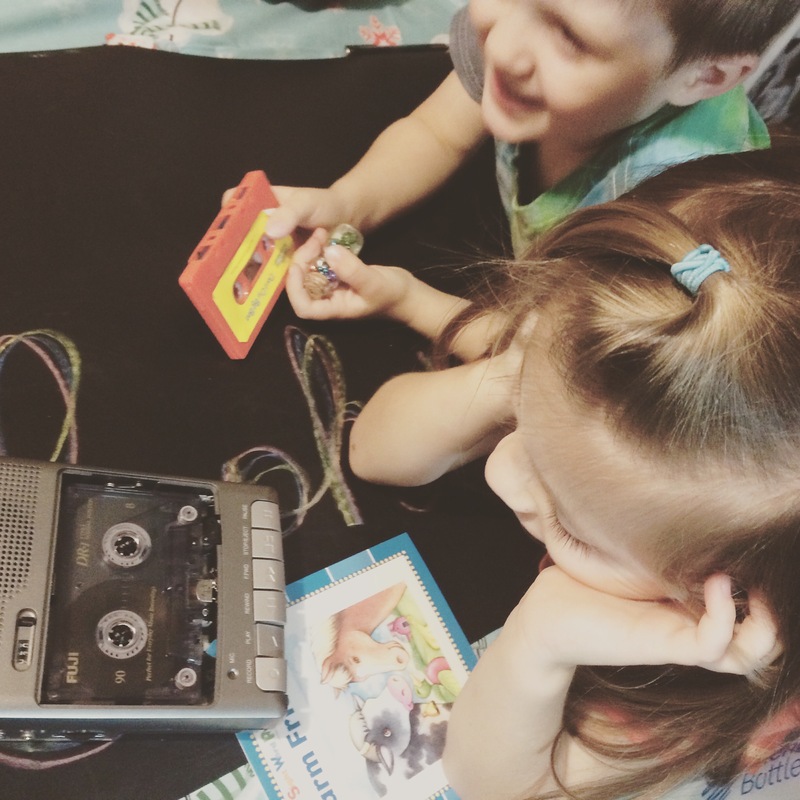 The three kids have enjoyed recording their reading and listening to old tapes. Although they did say it took forever to rewind the tape, which totally cracked me up! 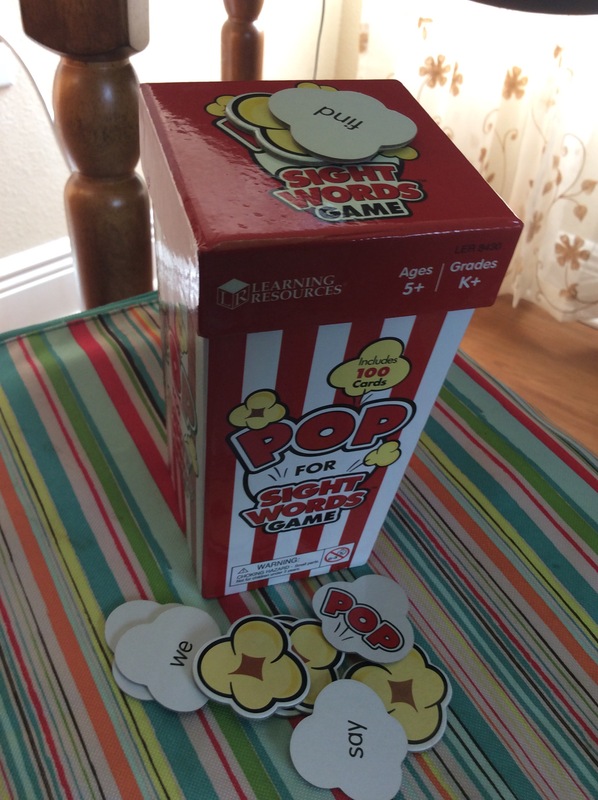 As an early Christmas gift, we ordered the game of Popcorn Words for our kids to play and practice sight word reading. 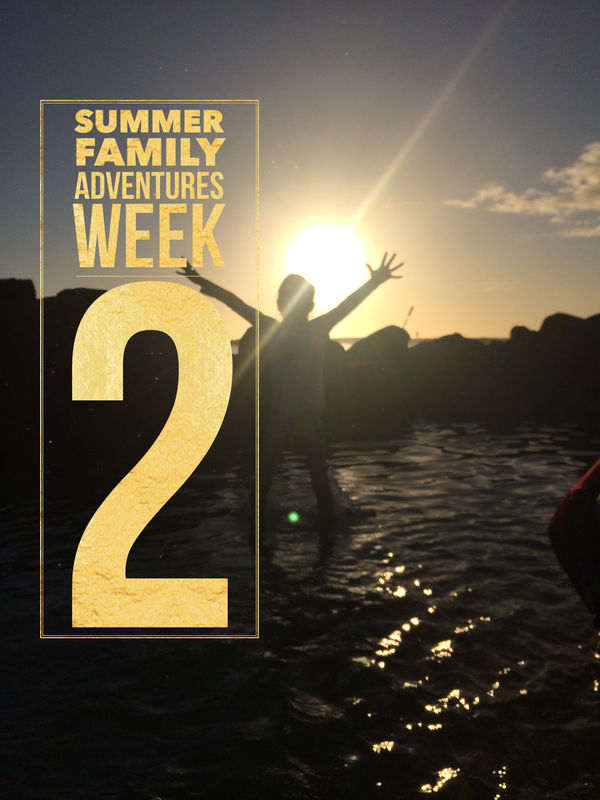 They insisted we take this fun game with us on vacation so they could play with family. Now words are “popping” in books for our littles. Looking for practice on the go? Check out the Mystery Word App. My kids enjoy playing this interactive game. Word lists can be generated to personalize the game for each child. The cost is $3.99 for this app. Another Free Sight Word App for flashcards is My Sight Word Lists. Personal lists can be created, then flagged for still struggling words. Lists can also be emailed to parents or teachers. 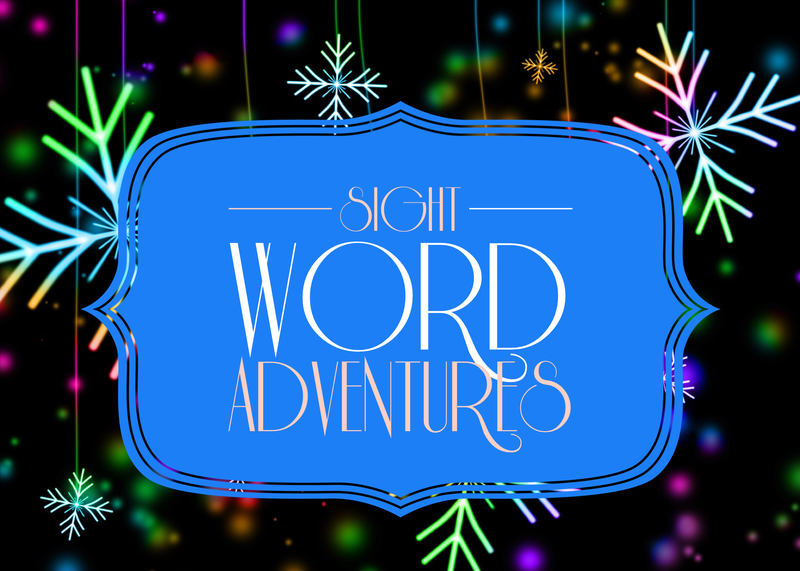 I hope these ideas have sparked a fun way to practice sight words with your students! Enjoy and happy reading!